Golf Show Season is Here! Following the Vancouver show, we have 3 more on the rooster! 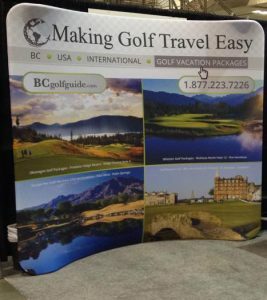 Seattle Golf Show is a long established show where we love to visit the emerald city and educate the Pacific Northwest golf crowd all about Golf travel in British Columbia. March 4th and 5th at the CenturyLink Field Events Centre.